Tempatnya bagus dekat pusat perbelanjaan..
Layanannya sangat bagus, lokasinya juga strategis. Kebersihannya cukup terjaga.Suka menginap disini. I have no trouble communicating with Travelio staff. Check-in was smooth and the customer service, Ms. Yulia was attentive and nice. Sangat puas selama menginap disini,staffnya ramah dan pelayananya ok. Apartment unit that located in the heart of Jakarta is suitable for business traveler, solo traveler, or just stay together with your friend. 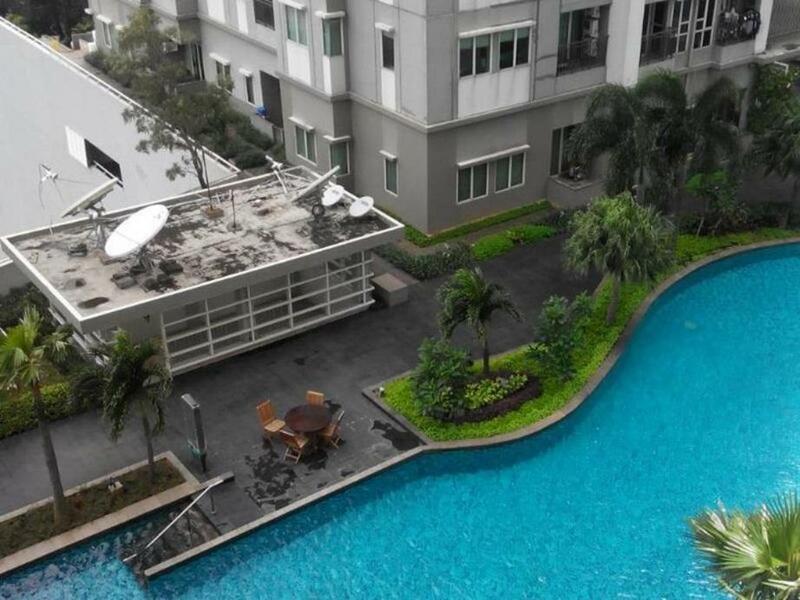 Not only its located near BCA Tower and UOB Plaza, but this apartment building also near Thamrin City and Grand Indonesia Mall that can be reached less than 10 minutes walking. Besides its strategic location, other advantages that can be offered by this apartment is the supported facilities provided by the apartment. With 45 sqm, this apartment bedroom is facilitated with queen size bed, AC, TV, wardrobe, as well as ironing equipment. While in the living room, there is sofa bed for you to relax while watching the TV. Also available dining table to host your guest. For you who prefer to cook by yourself, not to worry. The kitchen is equipped with kitchenware like gas stove, frying pan, spatula, rice cooker, microwave, refrigerator and also tableware. Similar to the kitchen, the bathroom also equipped with water heater, shower, washing machine, and toiletries. Strategic location, full facilities with internet access as well as the city view that can be seen from your bedroom make this a favorite choice for the newcomer. 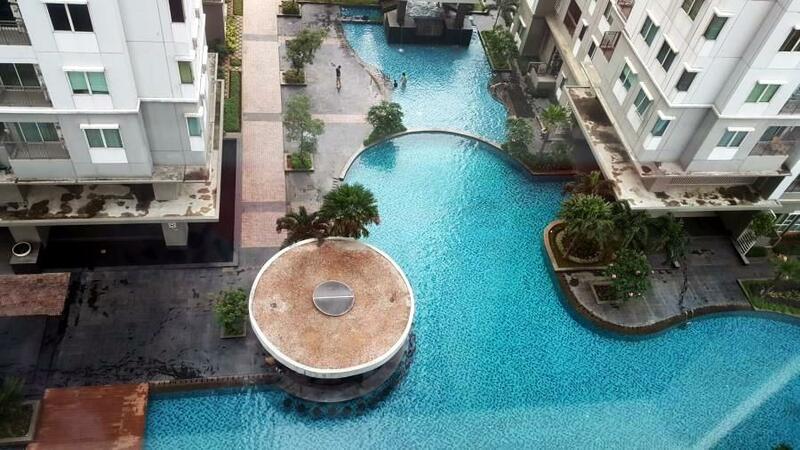 Interested in renting this apartment unit? 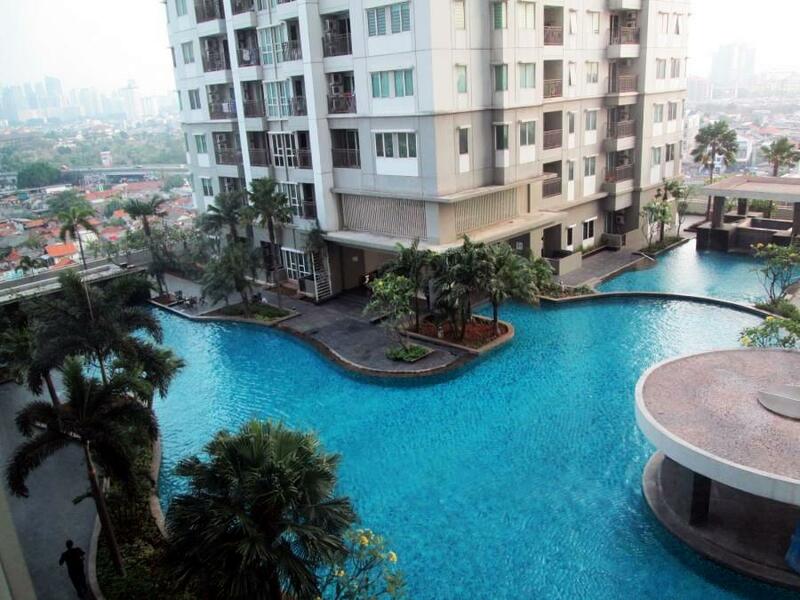 1BR Thamrin Residence City View By Travelio is available for daily, weekly, and monthly rental. BCA Tower and UOB Plaza is 7 minutes walking distance (600-700 m); Hotel Indonesia is 12 minutes walking distance (950 m); 15 minutes walking to Wisma Nusantara and Hotel Pullman (1.1 km); Wisma 46 BNI is 15 minutes walking distance (1.2 km). The closest university is LSPR Jakarta that can be reached by 4 minutes driving distance (1.2 km). Office building SCBD Sudirman is 15 minutes driving distance. While public transportation access like Gambir Station can be reached by 15 minutes driving; and Halim Perdanakusuma Airport can be reached by 38 minutes driving (14.2 km). Shopping center like Grand Indonesia and Thamrin City can be reached by 7 minutes walking distance (550 m); 10 minutes walking to Plaza Indonesia (750 m); Tanah Abang Market and Textile Center is 18 minutes walking distance (1.4 km) or 16 minutes driving (2.5 km). The closest museum tour is, Museum Textile Jakarta is 11 minutes driving distance (2.4 km); 10 minutes driving to Museum National Indonesia (2.9 km); National Monument can be reached by 14 minutes driving (4.9 km). Closest restaurants option like The Cloud Lounge and Dining is 13 minutes walking distance (1.0 km) and Chill’s and Grill Bar Café can be reached by 15 minutes driving distance (5.2 km) or 21 minutes walking distance (1.7 km). When you enter the room, you will see TV, AC, and sofa bed. Not far from there, dining table and chairs are available. Entering the bedroom, there are queen bed size, AC, TV, and wardrobe. Microwave, rice cooker, gas stove, as well as kitchenware are available in the kitchen. The bathroom is equipped with shower, water heater, and toiletries. Free wifi access also provided to support you when surfing the web. There are also a spa, swimming pool, laundry, and supermarket facilities in this apartment building.